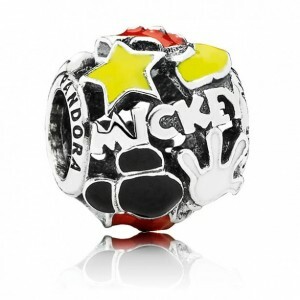 The new Disney PANDORA charms and bracelets haven’t debuted yet at the Disney Parks, but Disney is giving fans a sneak peek of some of the charms. When the Disney/PANDORA collection arrives later this fall guests will be able to purchase a sterling silver Disney Parks bracelet that features a ball clasp with the castle logo. 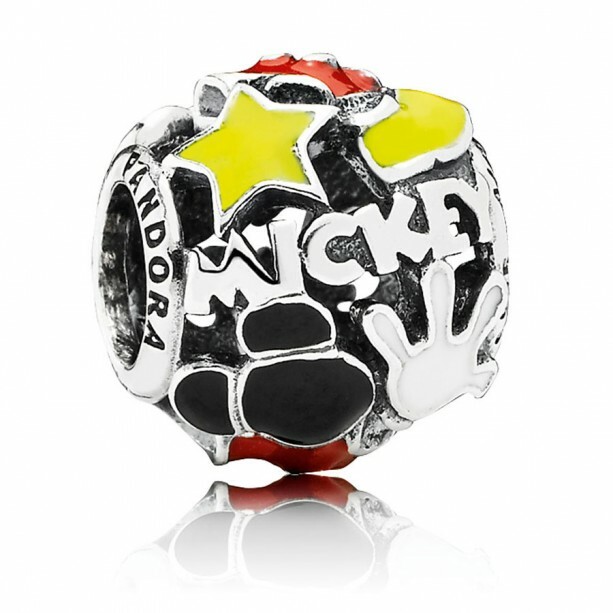 The collection will also feature 16 charms created just for the Disney Parks. The charms will be available in sterling silver and 14K gold. Several of the charms will be “destination” charms – including one for Disneyland and one for Walt Disney World Resort. These destination charms are sterling silver with cubic zirconia stars. Other charms include the “Mickey Mania” charm with red, yellow, black, and white enamel embellishments and a Minnie Sparkling Ear Hat dangle charm that features 105 black crystals. The PANDORA items that are specific to the parks will only be available at selection locations in the Disney Parks. Twenty-five other Disney designs will be available in retail locations in the Disney Parks and at PANDORA stores in North America.